Leo Varadkar: "I foresee a united Ireland at some point in the future"
Minister Leo Varadkar was giving his speech at the Michael Collins and Arthur Griffith commemoration in Glasnevin cemetery today. THE MINISTER FOR Social Protection, Leo Varadkar says he foresees a united Ireland at some point in the future, however, he did not say when. Speaking at the Michael Collins and Arthur Griffith commemoration in Glasnevin cemetery he said this would not be achieved ”through assimilation or the crude majoritarianism in a border poll”. I share the vision of An Taoiseach that foresees a united Ireland at some point in the future, and I share his belief in how it should be achieved. Varadkar said this must be achieved “through respect and consent”. His statement today comes two months after Taoiseach Enda Kenny raised the possibility of a border poll as part of negotiations over the UK’s departure from the EU. Since soundings of a united Ireland were voiced by those in Fine Gael, Sinn Féin, who have long called for a border poll, have pounced on the expediting of a poll and push for a united Ireland. Often the people who speak loudest about republican values, are the least when it comes to honouring them. All eyes have been on the minister recently due to speculation of a leadership battle within the party as to who will step into Taoiseach Enda Kenny’s shoes when he decides his time is up. With some in the media, tipping today’s speech as having elements of a “leadership speech”, any stage the minister takes to in the near future will increase speculation. Today he drew comparisons between what future Collins and Griffith wanted for Ireland and how his party hopes to make it a reality. He said Fine Gael followed Collins’ idea of taxation, that it should ”encourage rather than discourage industry”. That is the same belief we have in Fine Gael today. That a functioning tax system should both encourage business and reward individuals as well as providing for those who need protection. Recently, Varadkar has been making waves in his new portfolio, announcing plans such as a new welfare scheme for small loans for people, plans to raise dole payments for those that are newly unemployed on tax and social welfare, and one the raised the most eyebrows, giving Ireland’s local councillors two options to improve the terms under which they pay tax. Increasing general taxation is not the solution to all of our social and problems and infrastructural deficits and increasing it too much creates a problem in itself. 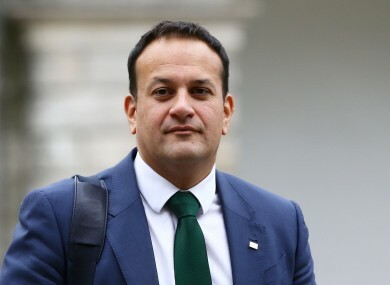 Varadkar said there was a need to “advance and expand the recovering economy so that more people are free to order their own life; they are free to achieve their ambitions and their dreams”. It is a difficult challenge. But it is achievable if we recognise that we need sound economic policies to achieve better living conditions for all our citizens and that social justice and inclusion, in turn, help to build a stronger more sustainable economy. There is one obstacle in Ireland’s way, according to Varadkar. Brexit complicates matters considerably for this country, and we have to be prepared for a period of uncertainty before it is settled. He said there are also implications for Northern Ireland. The only way we will achieve real unity is by respecting the different traditions, identities and values on this island, not by trying to obliterate them. It was easy for some to jump on the Brexit result, and use it to make a land-grab for Northern Ireland. And it was counterproductive. Email “Leo Varadkar: "I foresee a united Ireland at some point in the future"”. Feedback on “Leo Varadkar: "I foresee a united Ireland at some point in the future"”.